When you are using a Goal associated with a certain Playbook in Zapier to trigger another workflow, it might not be super intuitive within the Zapier interface to search for and add the custom attributes you've added to a contact through the Zap. 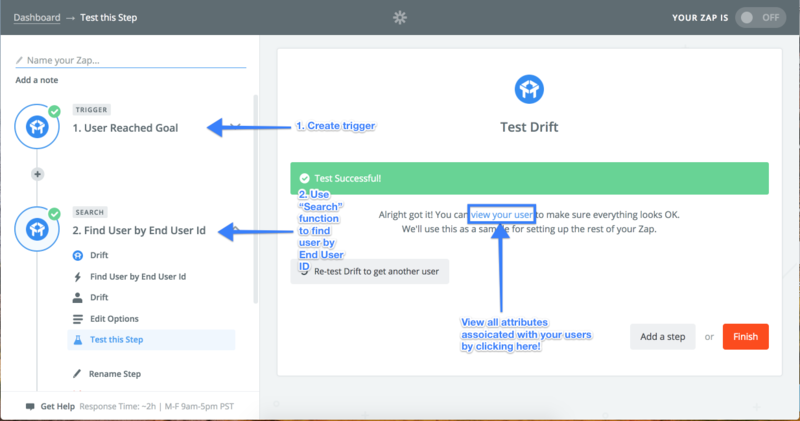 We want to make sure you're passing over all the information you need from Drift, so we put together a guide that can help you! If you are using the "Advanced Settings" in your Leadbot Playbook to capture custom attributes, this guide will allow you to pass those new contact attributes through Zapier when those leads have reached a goal in a Playbook. 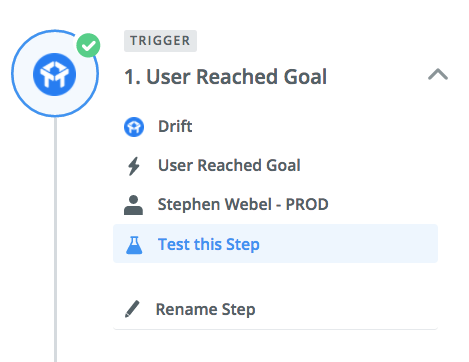 Create a new Zapier Trigger starting with the “User Reached Goal”, not to be confused with "User Reached Goal With Lead Stage". Make sure you specify which Playbook Goal you want this Zap to apply to! 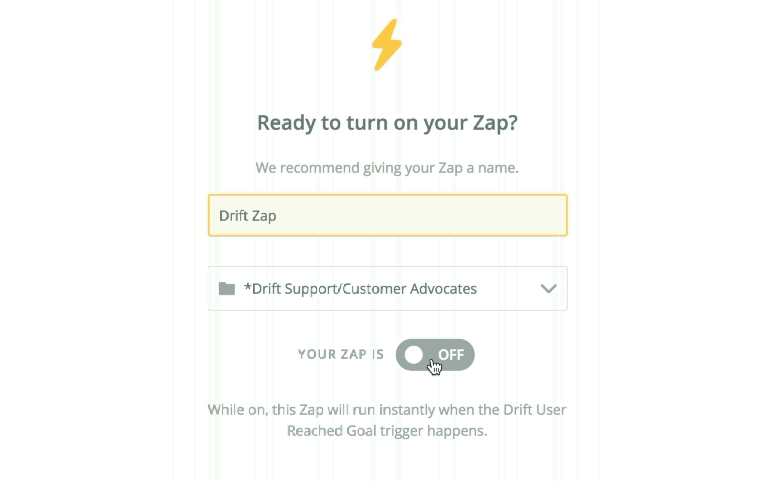 Have the next stage of the Zap use the Drift “Find User by End User Id” Search. We will use the “End User Id” from the Step 1 trigger to query Drift for the end user data. The response from “Find User by End User Id” will have the custom attribute values. The details associated with the user will be listed under "Attributes"
Add an action to your Zap to make sure these attributes are being passed into your CRM of choice! Now turn on your Zap!